Expert application of our all-natural cosmetics. Try out a range of looks to find what works best for your event and build your customized touch-up kit. *purchase a bridal touch-up kit (pricing will vary) and receive a 10% discount on your full size products. Coming in for a mani-pedi before girls night? Fitting in a massage between meetings? Add on a makeup refresh! Let Kat, our in-house makeup expert, make sure you’re ready to go with a fresh eyes, cheeks, and lips! Available as an add on to any skin, nail, or massage service. Expert application of our all-natural cosmetics with detailed instruction of proper techniques to recreate the look from home. Perfect makeup for your big day, done in-house at Poppy & Monroe. We will travel to you to save you time on your special day. 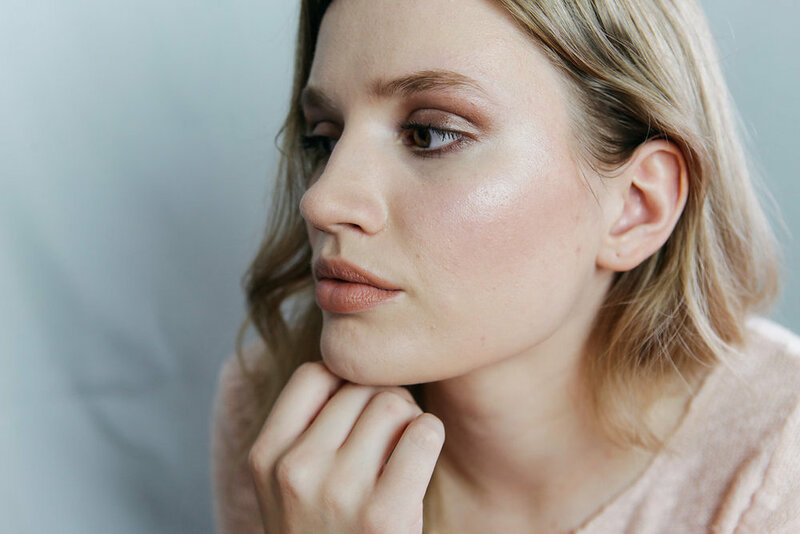 Allow our talented makeup artist, Kat, to review your current cosmetic routine (bring your makeup bag with you) to see what's working for you and what isn't. This is a great opportunity to get learn more about clean beauty products and help make the switch from conventional lines to natural alternatives.